The need to increase salaries had come up for discussion at the party leaders meeting held on July 17 attended by JVP Leader Anura Kumara Dissanayake, Joint Opposition Parliament Group Leader Dinesh Gunawardane, UPFA Leader Nimal Siripala De Silva, Leader of the House Lakshman Kiriella and TNA MP A. Sumanthiran. The sources said the salary increment would be effective from January this year and that it would be paid this month with the arrears. 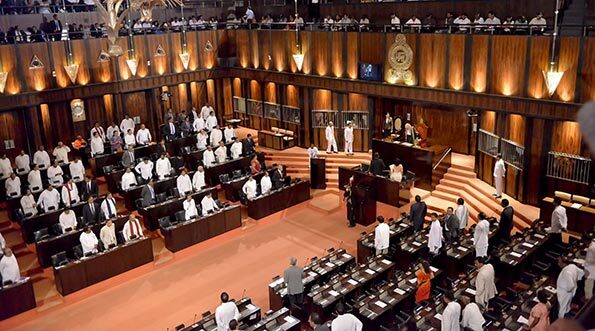 Accordingly, the salary of an MP would increase from Rs.54, 285 to Rs.120, 000 while the salary of a deputy minister goes up from Rs.63, 500 to 135, 000 while the salary of a minister and a state minister would be increased from Rs.65, 000 to Rs.140, 000. 1 Response to Salaries of ministers likely to be increased? What a good ides. More tax cuts of buying cars. Luxury foreign trips and holidays. Government vehicles and above the law, huge pension. What more you want. Wish I was born brain less so I could be a politician in Sri Lanka.